Marcos Madrazo aka don goio current member of El Setenta (www.el70.com) (http://www.myspace.com/elsetentarecords) and permanent contributor of knock productions (www.knock.com.mx). Started djing around 2003. It became an adiction which led onto a dj project called nican, playing sets around the south of Mexico. 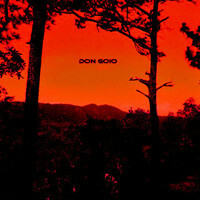 In year 2009 he starts his own music project called don goio, which main focus is on techno and minimal beats. In year 2010 don goio makes his first album collaboration (http://www.color-music.net/discography/one-of-most-original/of-the-world-vol-1/) for the label color-music (http://www.color-music.net/).